On Saturday, Maddie had the tiniest beginnings of a rattle in her chest. It almost sounded more like she had something in her throat, and she could just clear it, she’d be fine. When she’d cough, the rattle would go away, so we figured she was breathing through all the saliva that comes with teething. I went about my business, meeting a friend for coffee and then going to work for a few hours (yeah, I know, work on a Saturday night, blech). When I came home, Mike said she was doing great, so I stopped worrying. Then Maddie started shaking and projectile vomited mucus all over me. Welcome home, mommy. After that, Mike and I took turns watching her. We didn’t think she needed to go to the emergency room, but we didn’t want to miss any signs that could indicate otherwise. I pulled a roll-away bed into her nursery and I slept next to her crib. She had a good night, but the rattle in her chest was more noticeable. We still didn’t think she needed to go to the ER. The biggest indicator that she needs a doctor is when her inhaled treatments no longer make her breathing better. Luckily, they were still making a difference. We went ahead with our weekend plans, and spent time at my parents’ house with my aunts, uncle, mom, and dad. On Monday the rattle in her chest was the same. At that point, we were just hoping to keep her status quo until Tuesday, when Dr. Looove’s office would be open. It’s not that we wouldn’t have taken her to the emergency room if she’d needed it – we’ve taken her three times in the last three months – but obviously, the emergency room is a place to be avoided. My parents insisted that Mike and I still run our errands and have some free time, so we left Maddie in their capable hands and got stuff done. I did my best not to worry about her. This morning, the rattle was still there. Not better, not worse, but now accompanied by a cough. I called Dr. Looove’s office and made an urgent appointment for Maddie. She couldn’t see her until this afternoon, so I pretty much sat at my desk and stared at the clock, waiting for Mike to call me with the verdict. I got a text from Mike 10 minutes after the appointment started that said Maddie weighed 10 lbs, 9 oz (up 5 ounces from two weeks ago), but then nothing for over an hour. With each passing minute I had a sinking feeling Dr. Looove was going to admit Maddie, but I sat there quietly and slowly went insane. Finally, almost two hours after her appointment started, Mike called me to say that while Dr. Looove was concerned about the rattle, she wanted to take a few extra steps before admitting Maddie to the hospital. She wants us to put Maddie on oxygen whenever she’s fussy (which we were already doing), and she prescribed an oral steroid that will help boost her lungs. Her breathing treatment schedule is still really strict. Her steroid course is five days, after that, if she isn’t better (or if she gets worse before the five days are up), we’re supposed to bring her back to Dr. Looove. I really hope the steroids can keep her out of the hospital. As I’m typing this, Maddie is asleep in her swing, coughing. After she coughs, she gets this this sad look on her face that breaks my heart. I don’t want to wish her life away, but I can guarantee I won’t look back on these parts of her life fondly. You’ve probably already got one so feel free to ignore my annoying a$$. I also know this isn’t the same as what you’re talking about. You guys probably already have a vapourizer/humidifier, we always put eucalyptus in it when Erin’s breathing is a little…funky. I swear by it. Like I said, funky breathing is not the same as what’s happening to Maddy but maybe the eucalyptus would help? (assuming your not already using it). I hope she’s well again soon. She’s in my prayers. I hope she’s better soon. 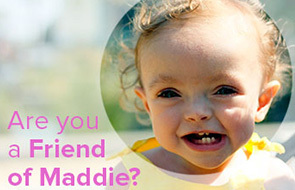 My youngest had some health issues–not the same as Maddie’s, but I’m familiar with the stress and fear. I wish her good health, and peace for you. Poor Maddie. I will pray for her! That is scary, especially since she was born so early. LG had the rattle, but his went away, and he was full term. I’ll be praying for her. I don’t want to say everything that’s already been said but I’m sure rooting for you and baby girl! You’re doing a great job and I don’t know how you manage a baby and work and doctors and illnesses and hospitalizations, etc. without falling on your face with exhaustion. You’re my hero!